CC Philip E. Coviello Jr.
Colombe M. Nicholas has been a Director of the Company since May 2011. Ms. Nicholas is currently a member of the Executive Compensation and Nominating and Corporate Governance Committees. From 2002 to January 2018, Ms. Nicholas served as a consultant to Financo Global Consulting, the international consulting division of Financo, Inc., where she focused on identifying expansion opportunities and providing growth advice to companies. Ms. Nicholas’ retail experience includes Bonwit Teller, Bloomingdale’s and R.H. Macy. From the 1980s to 2000, Ms. Nicholas has served as President and CEO of Anne Klein Group, President and CEO of the Orr Felt Company, President and COO of Giorgio Armani Fashion Corporation and President and CEO of Christian Dior New York. While at Christian Dior New York, Ms. Nicholas led sales growth from $125 million to $425 million. Ms. Nicholas has previously served on the Board of Directors of Oakley, Inc., The Mills Corporation, Tandy Brands and Herbalife Ltd. Ms. Nicholas holds a B.A. from the University of Dayton, a J.D. from the University of Cincinnati College of Law and an honorary doctorate in business administration from Bryant College of Rhode Island. Frank Lourenso has been a Director of the Company since December 1991. Mr. Lourenso is currently a member of the Audit, Executive Compensation and Nominating and Corporate Governance Committees. Mr. Lourenso was an Executive Vice President of JPMorgan Chase & Co. (“J.P. Morgan,” and successor by merger to The Chase Manhattan Bank and Chemical Bank, N.A.) from 1990 until his retirement in June 2013. Mr. Lourenso was a Senior Vice President of J.P. Morgan for more than five years prior to 1990. Mr. Lourenso holds a B.B.A. and an M.B.A. from Baruch College. 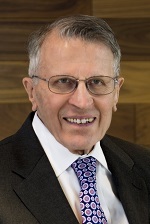 Joe Grills has been a Director of the Company since January 1997 and is the Chair of the Executive Compensation Committee and a member of the Audit and Nominating and Corporate Governance Committees. Mr. Grills was employed by IBM from 1961 to 1993 and held various positions in financial management in both IBM’s domestic and international businesses. Mr. Grills served as a director (1994-2007) and Co-Chairman of the Board of Directors (2002-2007) of a cluster of BlackRock (Merrill Lynch) Mutual Funds. He was a Director, was Vice Chairman (2000-2006), was Chairman (2006-2011) and is currently Chairman Emeritus of the Montpelier Foundation. He was on the Investment Advisory Committee of the Virginia Retirement System (1998-2016) and previously served as Vice Chairman (2002-2005) and Chairman (2005-2009). Mr. Grills was a Trustee, was Chairman and is currently a member of the Investment Committee of the Woodberry Forest School. In addition, Mr. Grills is a Trustee and is currently a Member (Chairman 2007-2011; 2014-2015) of the Investment Committee of the National Trust for Historic Preservation (also on Finance and Trustee/Governance Committees) and is a Trustee, a member of the Audit Committee and Chairman of the Development Committee of National Main Street Center, Inc., a subsidiary of National Trust for Historic Preservation. Mr. Grills was on the Individual Investor Advisory Committee of the NYSE from 2001 to 2014. He is a former Chairman and member of the Committee on Investment of Employee Benefit Assets of the Association of Financial Professionals. Mr. Grills holds a B.A. from Duke University and an M.B.A. from the University of Chicago. 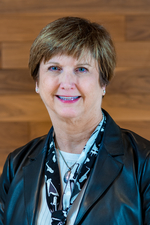 Mary Hogan Preusse has been a Director of the Company since February 2017. Ms. Hogan Preusse is currently a member of the Audit, Executive Compensation and Nominating and Corporate Governance Committees. Ms. Hogan Preusse retired from APG Asset Management US Inc., a leading manager of pension assets, in May 2017. She joined APG’s predecessor in 2000 as a senior portfolio analyst and portfolio manager, and served from January 2008 to May 2017 as Managing Director and co-head of Americas Real Estate for APG Asset Management US Inc. She also served on the Executive Board of APG Asset Management US Inc. from 2008 until 2017. Prior to joining APG, Ms. Hogan Preusse spent eight years as a sell-side analyst covering the REIT sector and began her career at Merrill Lynch as an investment banking analyst. Ms. Hogan Preusse currently serves on the boards of directors of Digital Realty Trust, Inc., Host Hotels & Resorts, Inc. and VEREIT, Inc. In May 2017, Ms. Hogan Preusse founded Sturgis Partners LLC, which provides consulting, investment and advisory services related to the public (listed) real estate industry. In 2015, she was the recipient of NAREIT’s E. Lawrence Miller Industry Achievement Award for her contributions to the REIT industry. She is also a member of the International Council of Shopping Centers, serves on the Investor Advisory Council for NAREIT, and is a member of the Real Estate Advisory Board for the Carey Business School at Johns Hopkins University. Ms. Hogan Preusse holds an A.B. in Mathematics from Bowdoin College in Brunswick, Maine and has served as a member of Bowdoin’s Board of Trustees since 2012. 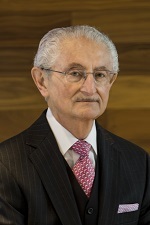 Philip E. Coviello has been a Director of the Company since May 2008, is the Chair of the Audit Committee and a member of the Executive Compensation and Nominating and Corporate Governance Committees. Mr. Coviello was a partner at Latham & Watkins LLP, an international law firm, until his retirement from that firm in 2003. In addition, since 1996, Mr. Coviello has been a Director of Getty Realty Corporation, where he serves as Chair of the Audit Committee and is a member of its Compensation and Nominating/ Corporate Governance Committees. Mr. Coviello holds an A.B. from Princeton University, an L.L.B. from the Columbia University School of Law and an M.B.A. from the Columbia University School of Business. Richard B. Saltzman has been a Director of the Company since July 2003. Mr. Saltzman is a member of the Executive Compensation and Nominating and Corporate Governance Committees. Mr. Saltzman currently serves as Chairman of the Board of NorthStar Realty Europe Corp. (NYSE: NRE) and Chairman of the Board of Colony Credit Real Estate Inc. (NYSE: CLNC) and previously served as a director, President and Chief Executive Officer of Colony Capital, Inc. (NYSE: CLNY) from 2015 to 2018. 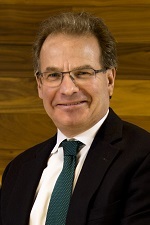 Prior to joining various predecessors of Colony Capital in 2003, Mr. Saltzman spent 24 years in the investment banking business, most recently as a Managing Director and Vice Chairman of Merrill Lynch’s investment banking division. Mr. Saltzman holds a B.A. from Swarthmore College and an M.S. from Carnegie Mellon University. 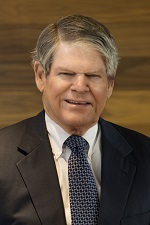 Richard G. Dooley has been a Director of the Company since December 1991. 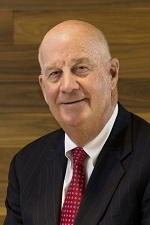 Mr. Dooley currently serves as the Lead Independent Director, the Chair of the Nominating and Corporate Governance Committee and a member of the Audit and Executive Compensation Committees. From 1993 to 2003, Mr. Dooley was a consultant to, and from 1978 to 1993 served as the Executive Vice President and Chief Investment Officer of, the Massachusetts Mutual Life Insurance Company. Mr. Dooley is a Director, Chair of the Compensation Committee and member of the Audit and Corporate Governance Committees of Jefferies LLC (formerly Jefferies Group, Inc.), a subsidiary of Leucadia National Corporation (“Leucadia”) (NYSE: LUK) pursuant to a merger between Leucadia and Jefferies Group, Inc. effective March 1, 2013. Mr. Dooley formerly served as a Director and member of the Compensation Committee of Leucadia. Mr. Dooley holds a B.S. degree from Northeastern University and an M.B.A. from the Wharton School of the University of Pennsylvania. 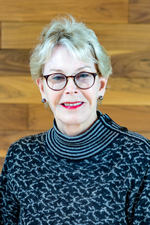 Valerie Richardson has been a Director of the Company since June 2018. Ms. Richardson is currently a member of the Audit, Executive Compensation and Nominating and Corporate Governance Committees. Ms. Richardson is the Vice President of Real Estate for The Container Store, Inc. 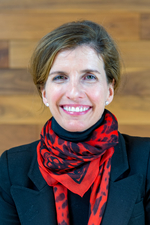 Prior to joining The Container Store in the fall of 2000, Ms. Richardson was Senior Vice President – Real Estate and Development for Ann Taylor, Inc., the specialty women’s apparel retailer, where she administered the company’s store expansion strategy for Ann Taylor and Ann Taylor Loft. Before Ann Taylor, Ms. Richardson was Vice President of Real Estate and Development of Barnes & Noble, Inc., the country’s largest bookselling retailer. Prior to Barnes & Noble, Ms. Richardson was a Partner in the Shopping Center Division of the Dallas-based developer, Trammell Crow Company. Since 2004, she has been a member of the Board of Trustees of the International Council of Shopping Centers (ICSC). She assumed the position of ICSC Chairman in May 2018 as the first Chairman associated with a retail company. Ms. Richardson currently serves on ICSC’s Executive Board and its Nominating and Governance, Audit and Executive Compensation Committees and previously served on the Board of the ICSC Foundation from 2011 to 2017. Ms. Richardson served as a Trustee at Baylor Scott & White Medical Center – Plano from 2010 to 2016. Ms. Richardson holds an M.B.A. in Real Estate from the University of North Texas and a B.S. in Education from Texas State University.